It was super tough, seriously extremely difficult, to the point that we changed our minds about 5 times before agreeing... but we finally did. Congratulations to Bowie posted by mcadoo ! You're on our homepage now, as well as two runner-ups! Also, Bowie is in our article about Abby cats now! David, Zafira is so so so awesome, I'm really in love with her. Bowie is handsome, congrats! I can imagine how difficult it was to choose the winner - personally, I have many favourite pics including Zafira, Heisaham, Ruby Bee, WillowPark Felicity, the kitten posted by Pauline , Atum, Erilyn, St. Valentine... thank goodness I didn't have to make a choice!! Love them all and thanks for your great photos and great competition!! 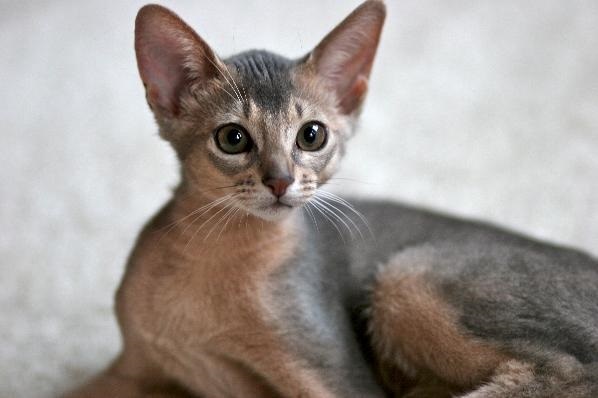 Congrats to the winner(s), this breed is beautiful so congrats also to everyone who has one of these cats! That makes everyone a winner, right? Thanks so much for choosing Bowie! 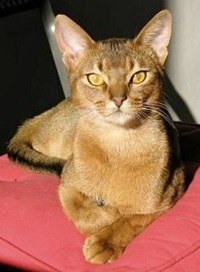 We love the breed and also have a Ruddy and Fawn Abyssinian. 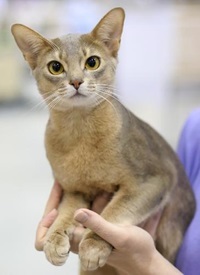 There were so many great cats in the contest. He is also the sweetest cat we've had. Thanks again!